This is the second in a series of two guidebooks to Via Ferratas of the Italian Dolomites. (Volume One covers the eastern, northern and central areas of the Dolomites, while Volume Two completes the picture, focusing on the southern, Brenta and Lake Garda areas. 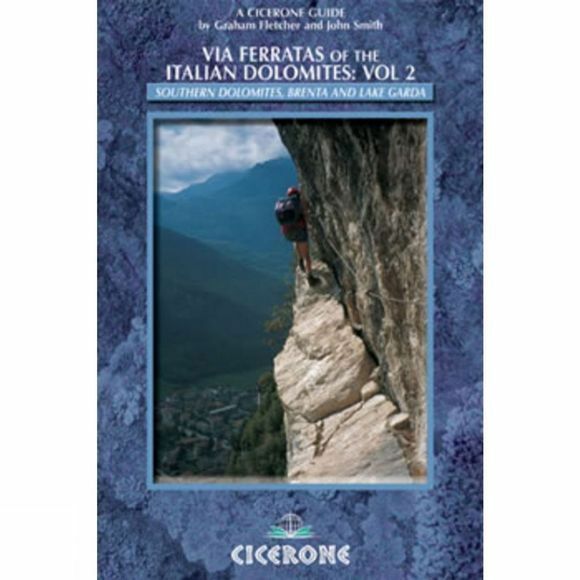 )Book Two documents Via Ferrata routes in the major mountain ranges of Civetta, Schiara and Pala as well as those to the west in the Brenta. A significant addition (and, as far as we are aware, not previously published in any English language guidebook) is the inclusion of routes around the northern end of Lake Garda and the Piccole Dolomites north of Vicenza. Here the mountains are generally lower and you can enjoy ferrata climbing over a much extended season, with some routes accessible for most of the year.